The condition of your heart will determine the content of your mouth. You can only keep quiet on what you really think and feel for so long until the volcano erupts and someone eavesdrop’s in on what is really going on in your personal world. If you want to change the content of your talk, you must allow God to change the theme of your heart. When God changes your heart, his desires become your desires, his thoughts become your thoughts, his ways become your ways and his words become your words. Charles Spurgeon once said, “The burning heart will soon find for itself a flaming tongue.” When your heart burns for God, your words will ignite and inspire passion in others. Your Future is in your Mouth! 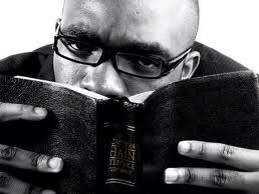 Too many of us “pray the problem” when we should be “prophesying the solution”. Jesus didn’t say ‘pray the problem’, he said, ‘pray your desire’ and believe that you have received it. Your prayer life may need a renovation. You may be guilty of praying too much, ‘Houston, we have a problem’, rather than, ‘Heaven has a solution’. It’s too easy to become pre-occupied with our problems than to pay attention to our words. If you become more word-conscious and less problem conscious, your problems will lose their power in your life. Magnify your words and you will minimise your problems. 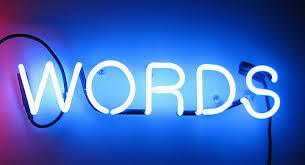 Words are powerful, they have creative power in them. The power of life and death is in the tongue. Jesus said, ‘If you speak to the mountain to be removed, it will be’. Too often we complain about the mountain, we spend inordinate time defining the mountain, we take pictures of the mountain to show our friends but Jesus said, ‘Speak to the mountain’. Nothing moves until you speak to it. Your future is in your mouth!